Written by Jason King of Sean’s Outpost and reposted with his permission fromreddit. For over a week now, I’ve been trying to write a year in review piece for Satoshi Forest. The words, which usually just flow like a spigot when I’m passionate about something, seem to just dribble out. And what little ekes by is hardly print worthy. Maybe it’s just writer’s block? Writer’s block happens. Or maybe I’m not as passionate about Satoshi Forest as I used tao be? But, I am passionate about Satoshi Forest, perhaps more than I ever have been. And writer’s block, if it is the culprit, cannot explain why I haven’t responded to Elizabeth Ploshay’s ALS Ice Bucket Challenge in a timely fashion. I guess I’ll have to donate now. You see it’s not just the Satoshi Forest year in review, it’s everything. Emails from friends I haven’t responded to, phone calls I let go to voicemail, new endeavors at Sean’s Outpost I let sit unannounced (http://blockchain.satoshiforest.com/). And then it hits me. I’ve been here before. And it seems to be going around. Since the tragic suicide of Robin Williams, four (4) people close to me have also tried to kill themselves. One succeeded. An anecdotal survey of my friends has seen an equal uptick in the number of people talking about or attempting suicide. In the preparations for the Bitcoin in the Beltway conference this past June, I had one of the more surreal conversations of my life. An east coast sales director for Marriott called me wanting to know if bitcoin was linked to suicide. They had heard of the tragic death of Autumn Radtke in March (http://nypost.com/2014/03/06/bitcoin-firm-ceo-jumped-to-her-death-neighbor/) and were concerned about hosting a conference for a technology that was making people kill themselves. I was sure he was joking. He was not. The conversation I had with him must have allayed his fears. #BitcoinBeltway went great, can’t wait to do it again next year. Obviously, bitcoin does not cause suicide. And while we are quick to sticky a “suicide prevention hotline” when the price crashes, bitcoin is not causing depression. What we may want to look into is something that is not bitcoin related, but more something that comes part and parcel with “bitcoiners”: the woes of entrepreneurship and startup culture. Being an entrepreneur is f*ing hard. Really hard. Most people don’t even attempt it. It might not feel that way to you, but likely that’s because you surround yourself with other entrepreneurs. Your friends work at startups. Your trips are to startup conferences and conventions. Your news feed is r/bitcoin and hacker news. You are firmly in the echo chamber. Most people will never try and build a product or company, so most people will never experience what it is like to fear you won’t make payroll and someone else will not be able to pay their rent because of you. Most people will never know how difficult it is to raise money: to get someone else to believe in you enough to open their checkbook and support you financially…the hours you spend and the mental strain that comes from hearing “No” again and again and again. And if you get a “Yes” the pressure doesn’t dissipate! It increases! Now it’s your crazy idea and someone else’s money you’re responsible for. Being an entrepreneur is really hard. And we are really hard on ourselves. We are afraid to show any weakness, because we’ve been taught being weak or vulnerable is to be shunned. If someone asks you how your company is doing, “We’re killing it.” probably comes off your lips before you’ve even processed the question. And that pressure to succeed, to perform, to win is immense. And I think that pressure may be even worse in bitcoin. 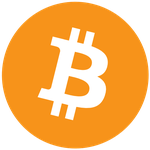 Not to everyone, but to a lot of bitcoin early adopters, and especially to a lot of early bitcoin entrepreneurs, bitcoin is a promise, a glimpse of a better world free from the inequalities brought by our legacy financial system. So if you fail in bitcoin, it is easy to feel that you are failing on that promise too. I’ve felt that way – felt that if I screw up I am screwing it up for every non-profit and charity, that they will somehow not get the benefits of bitcoin because I failed. I see it in others. Just a week ago at #Cryptolina I talked with a group of brilliant entrepreneurs who were convinced that if they didn’t beat an incumbent payment solution to market, they had lost the war. And that whole segment of the market would NEVER benefit from cryptocurrency. Being a bitcoin entrepreneur is hard. And I don’t have the answers to how to deal with all the pressure and depression that come from doing what we do. But I have learned a couple of things and maybe someone else that is experiencing depression or having dark thoughts can read this and gain some value from what I’ve learned. And even better, maybe someone that has dealt with depression in the past can riff on what I’ve said and provide some insight into how they cope. When you are depressed, it seems like everyone else has it all together and you are the anomaly. That’s not true. They probably don’t have their s*t together either. And everyone has problems we don’t see. Everyone. Some of the greatest entrepreneurs and investors of all time have had brutal fights with depression and suicidal thoughts. 2) Bitcoin needs you and it doesn’t need you. And that’s ok.
Bitcoin needs you. It really does. But it doesn’t need only you, it needs all of us. You are not the single point of failure. Bitcoin’s success is just as decentralized as the blockchain. So give yourself a break. It’s okay to make mistakes and it’s okay to fail. It’s even okay to fail spectacularly. Think back to how many times bitcoin has been declared dead. How many times has the price crashed? How many times has a major bitcoin institution been corrupted/hacked/found to be a scam? And yet, here we are. An you are here too. 3) It is okay to ask for help. I know all of this might not make a difference. When you are caught up in your head in the middle of a depressive episode nothing seems to help. Try to find something that you can concentrate on just to get you through the worst of it. For me, I go play with my kids. It helps me, sometimes more than others. If you are feeling down, try to talk to someone. And if you see someone feeling down, try to lend a supportive ear.